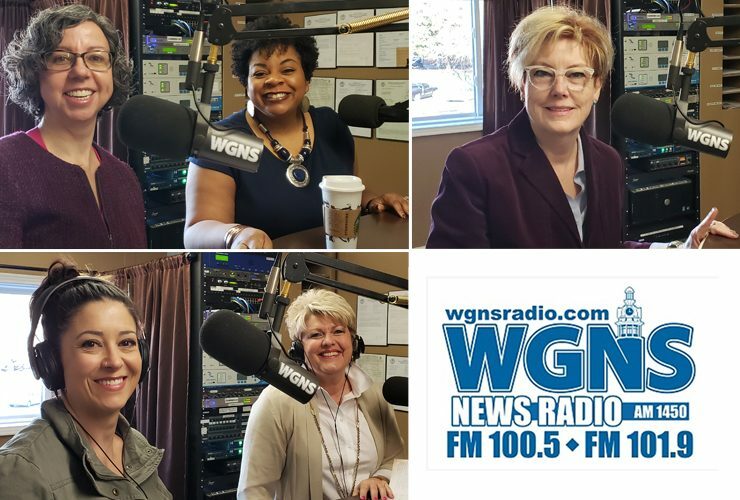 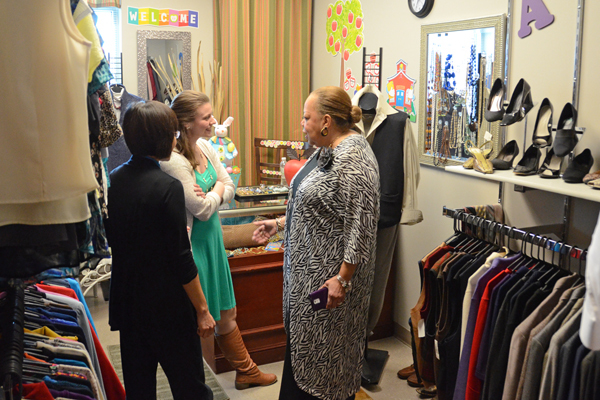 MTSU faculty and staff appeared on WGNS Radio recently to share information about an upcoming course offering, a Women’s History Month event and new exhibits and..
A last-minute push just days before the Tennessee deadline for voter registration has netted impressive results. 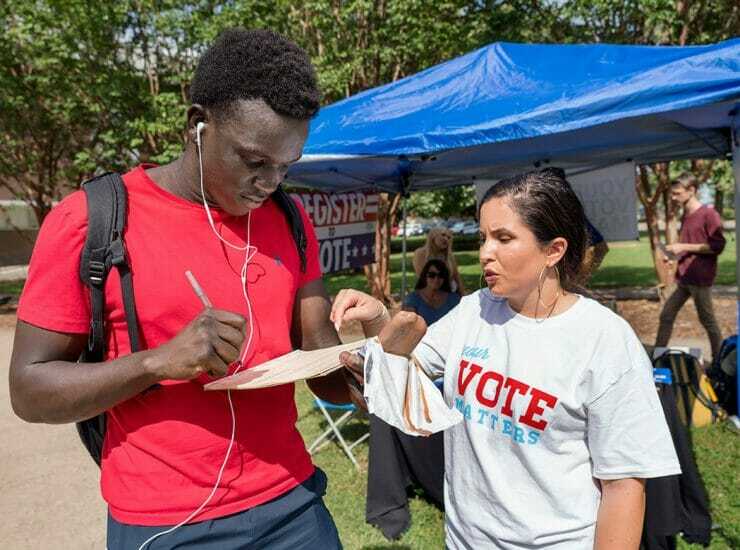 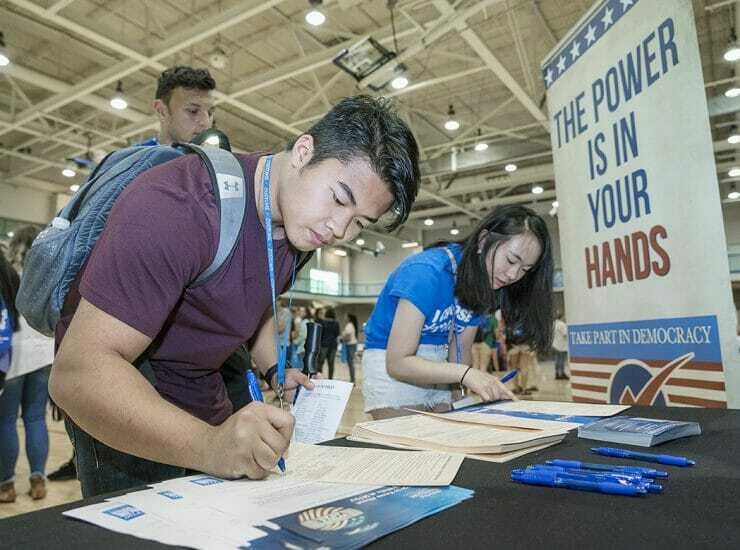 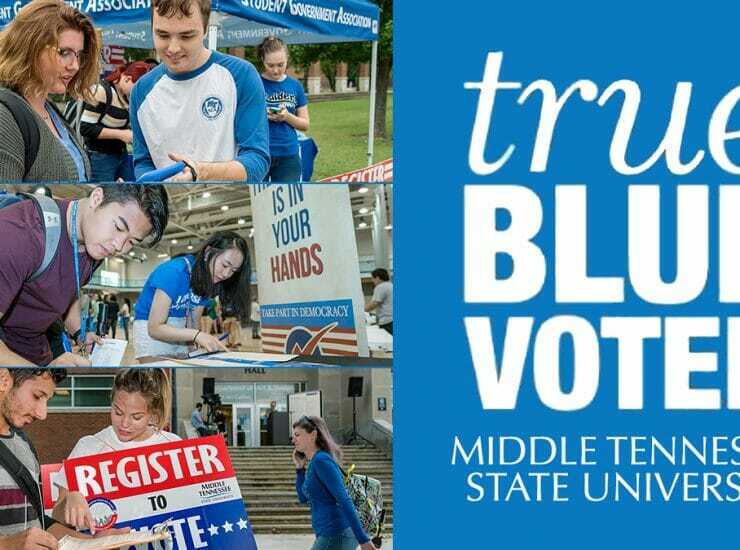 The American Democracy Project at MTSU reports that the..
With Tennessee’s voter registration deadline of Tuesday, Oct. 9, fast approaching, MTSU is continuing its all-out efforts to register as many students — and members..
MTSU’s 2018 Constitution Week is focusing on educating students, faculty, staff and the community about their civic duty in this election year: exercising their right..
As students filter onto the MTSU campus for the start of the fall 2018 semester, they’ll also be invited to embark on a new chapter..
Women will combine academia and activism as the 2018 American Association of University Women’s state convention comes to MTSU March 16-17. 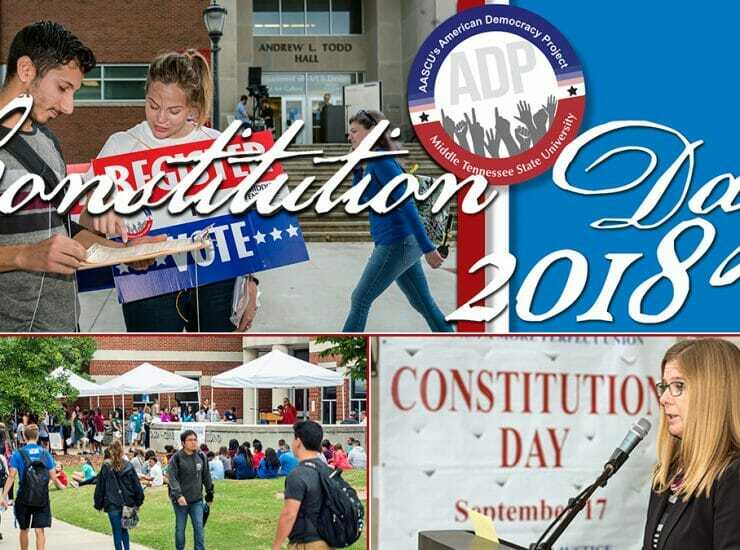 Co-hosted by the university’s.. 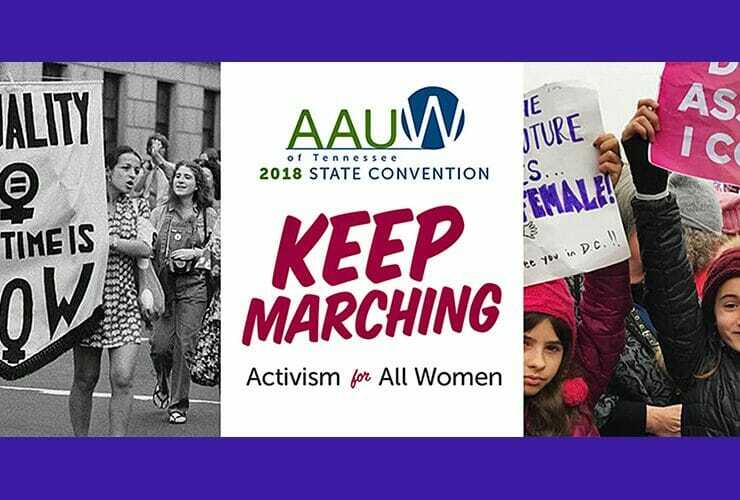 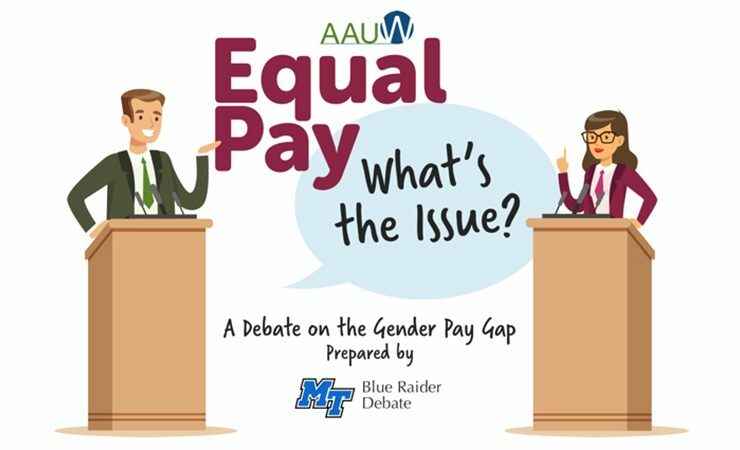 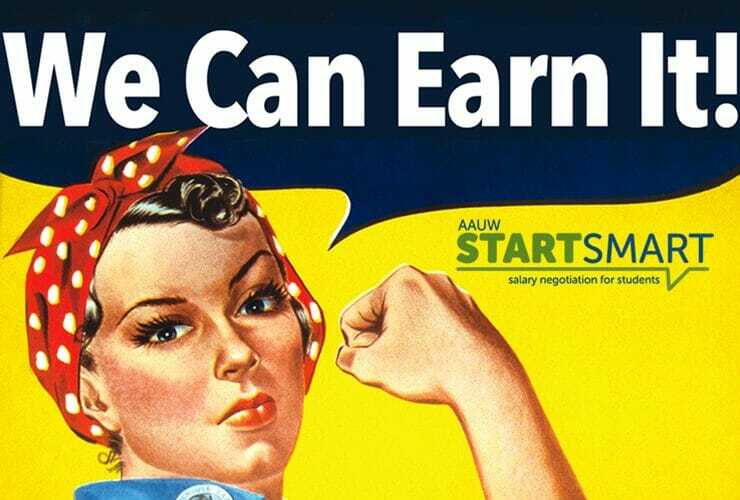 If you know a female MTSU college student who exhibits leadership potential, you can nominate her for the experience of a lifetime at an upcoming..
College women preparing to enter the job market can get a “Smart State” with real-world information about salaries and benefits at a workshop set Thursday,..
MTSU’s award-winning Blue Raider Debate Team will tackle one of the most contentious workplace issues of our times Thursday, Nov. 9, when they explore the..